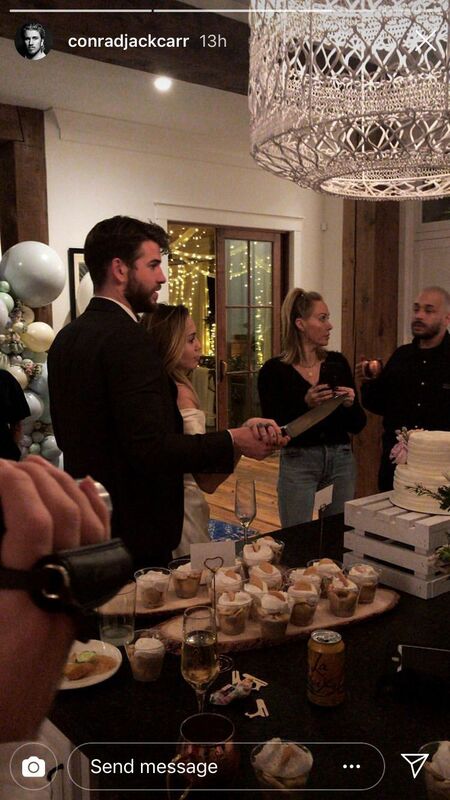 International pop singer Miley Cyrus and Isn't It Romantic actor Liam Hemsworth apparently got married on Sunday. We have proof, watch pics from what looks like an intimate, secret wedding affair. The once on-again-off-again couple, who reconnected in 2015, exchanged vows in an intimate affair at their home in Franklin, Tennessee on Sunday. 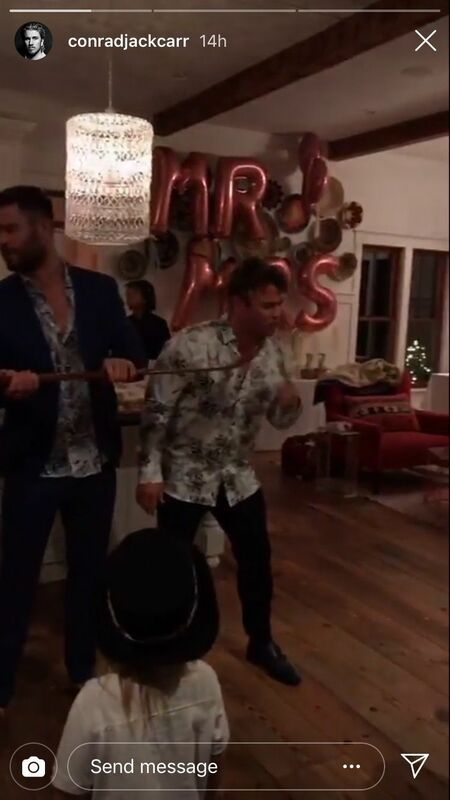 Their surfer friend Conrad Jack Carr shared several pictures of the two on his Instagram Story wherein one of the photographs Hemsworth, 28, and his brothers Chris and Luke can be seen doing a "shotski", with 'Mr and Mrs' balloons in the background.